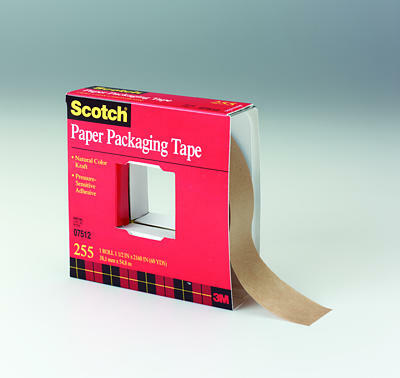 Kraft paper tape in convenient cutter box for general purpose box sealing, attaching, and holding. High tack pressure-sensitive rubber resin adhesive holds instantly and aggressively to paper and carton surfaces. Suitable for a general purpose sealing application. Available in 60 yard rolls. See the Learn More... section for technical documentation.